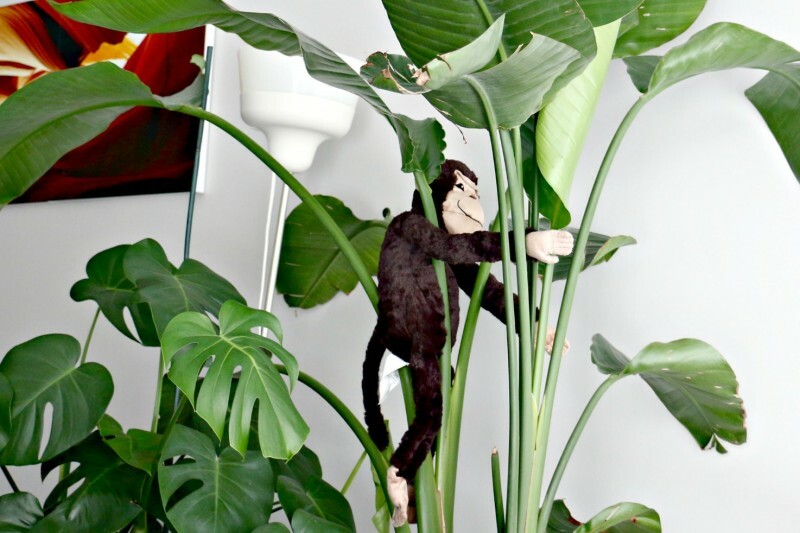 This month’s Urban Jungle Bloggers challenge is showing the animals that share our little jungle with us. 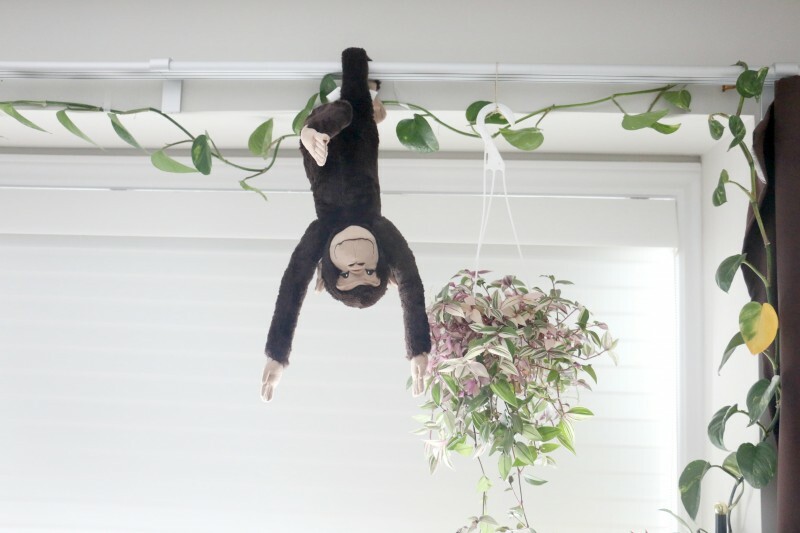 I was going to pass but Oscar, the monkey thought this would be a great way to try his hands at blogging. Reluctantly, I gave him the reigns on this one. He couldn’t be happier. Hi everyone, I’m Oscar. Barbara purchased me for her new-born nephew. I was thrilled I could finally leave the store and go on a real adventure. But then her sister-in-law thought I was too scary to give to a baby. Really? Scary? Me? Look at this adorable face. How could you not love this? Anyway, she got something else for the little nephew and because I was so adorable, she decided to keep me. I was elated. 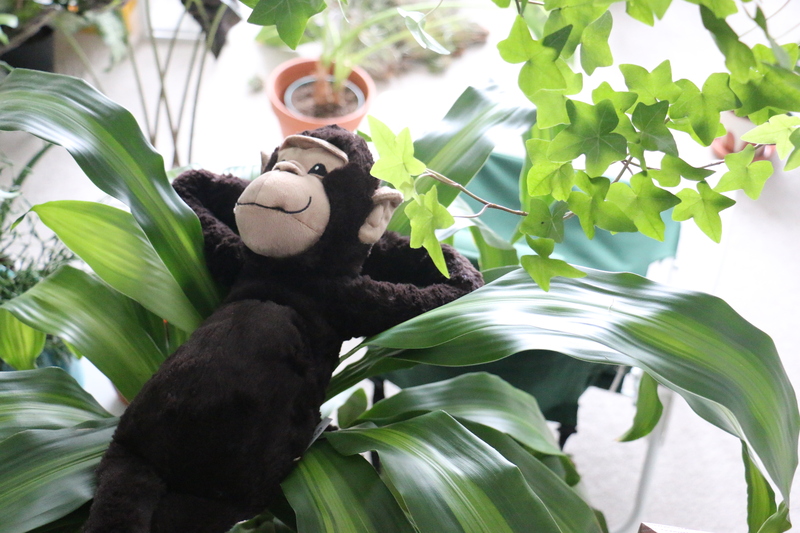 Unlike my previous home, I am allowed to play among the plants, and I have all the bananas I can eat. My two favourite things. I like exploring and playing among the plants. 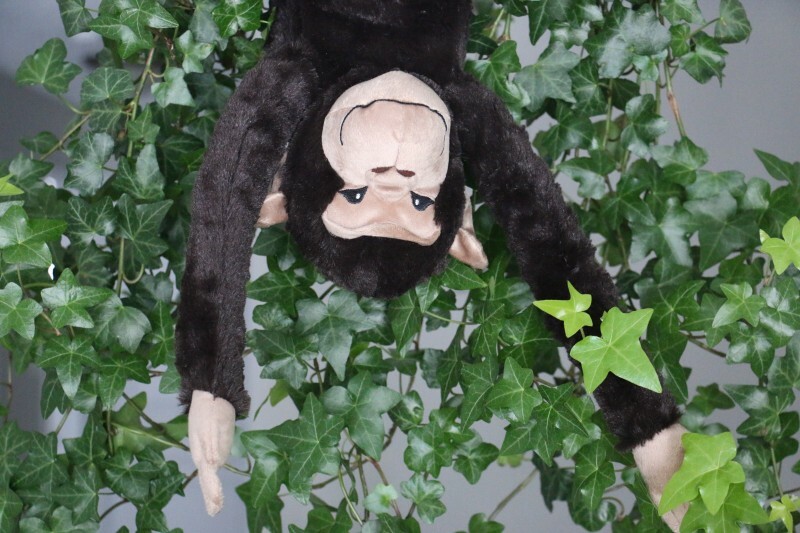 That’s me ‘hanging’ in the Ivy. Here am I with this colourful Tradescantia in the bedroom. Look, No hands! When Barbara bought this plant, I thought it was a Banana tree. I was very disappointed when I found out it was a Traveler’s palm. I do enjoying playing in it though. 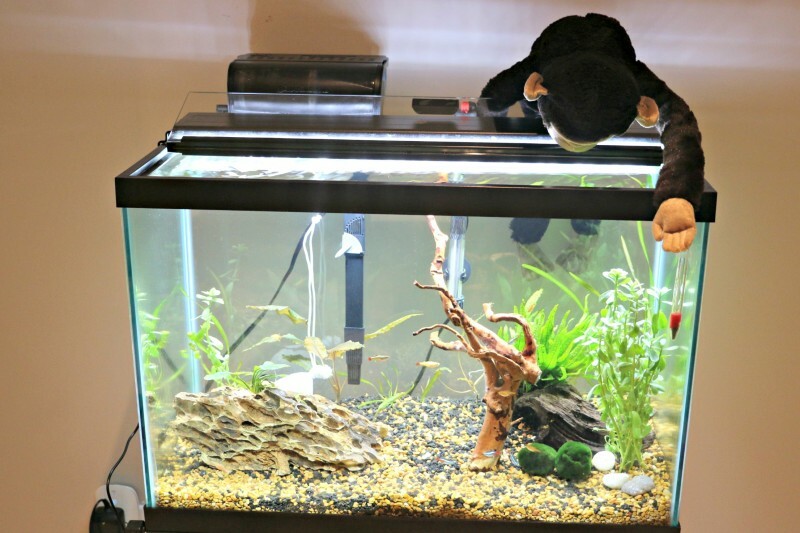 Recently, Barbara got a fish tank. I am so mesmerized by the fishes, I can look at them all day. And when I’m bored looking at them, I sometimes try to play with them. And oh, there are some beautiful plants in there as well. 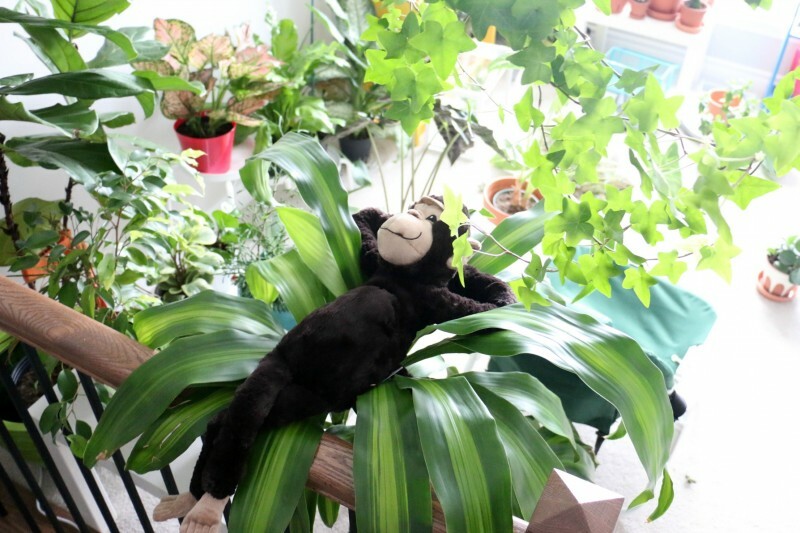 Finally, when I am tired from all the monkeying around, I find a comfortable plant to snooze on. My favourite spot is on the corn plant. 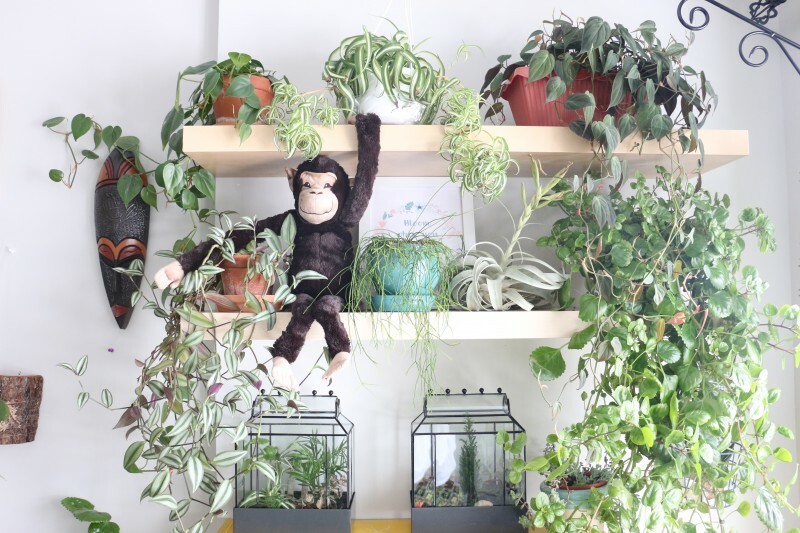 Urban Jungle Bloggers is an on-line community of plant-loving bloggers created by Igor of Happy Interior Blog and Judith of Joelix.com. 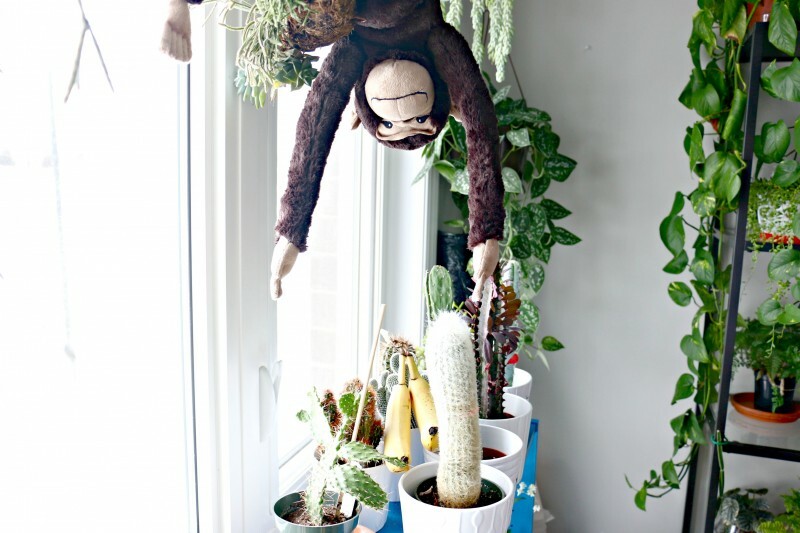 The idea behind this project is to get some green into our homes and blogs! Every month Igor and Judith invite bloggers to share ideas regarding a particular green theme or topic. 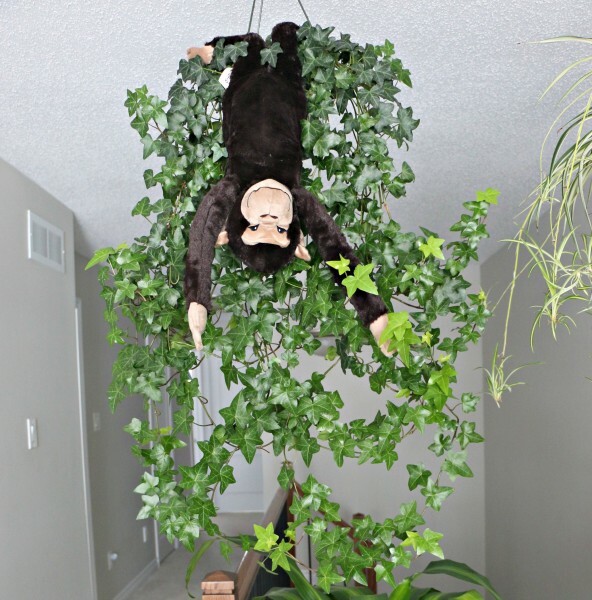 Visit the Urban Jungle Bloggers blog to learn how you can participate. So cute! And very creative pics!